I decided about Wednesday that the party must happen! No dark clouds raining on my parade this week. Happiness is a choice and sometimes that's a hard thing to remember. I got to celebrate my first finish of the year this week, with my guild challenge project--When You Wish--Mountaineer Style. I've also decided to reflect on my current goals and how I'm doing on getting my PhD with Gail at Quilting Gail. So far my UFO's are a bust...not a good bust. This is what the project list looks like as of now. 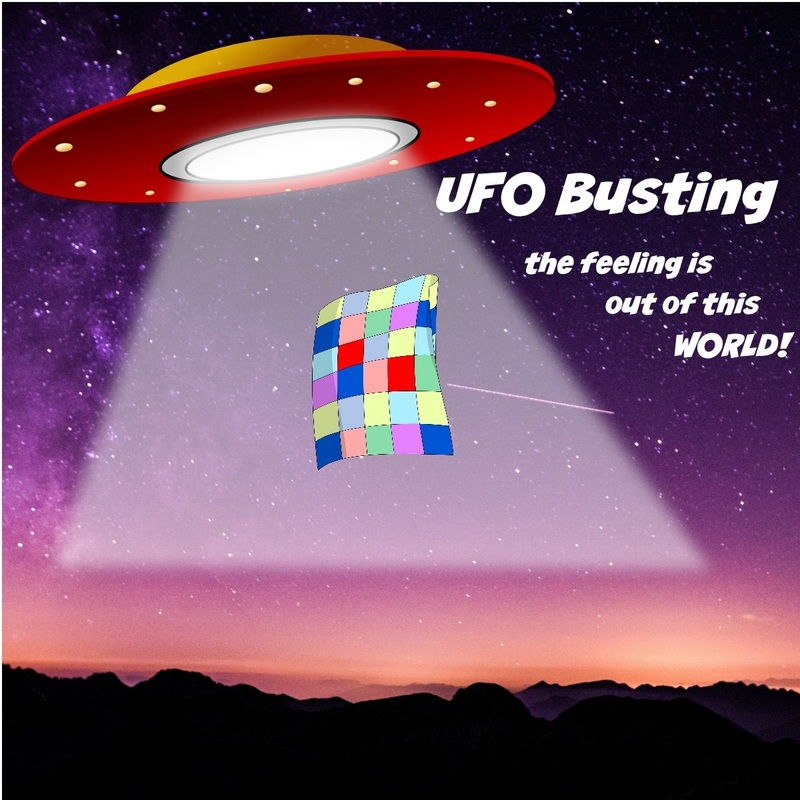 No UFO's are finished, but I have finished a project started this year. So to stay on task I have decied to set some specific goals for the month of February. 1. I need to quilt my first Island Batik challenge quilt. I can't wait to share more of this project with you! I can say piecing is under way (and maybe even complete). But we need a fabric box reveal before we can do anything. Finishing up this project also means, I can get started on the March challenge as well. 2. Quilt two UFO's. I wanted to finish these up in January but it just didn't happen. I am determine that Holly Jolly Chirstmas and the Baby Bundle Buster Quilt will have their days this month! 3. Piece a few doll gowns. You may remember last year when Bernie at Needle and Foot introduced us to A Doll Like Me. Bernie recently gave an update on Amy and her ministry/cause and there is a need for tiny hospital gowns for the dolls. I am not a 3D sewer, but I wanted to give his a try. I did it! I hope to make several more to ship to Amy this month. To learn more about the program please hop over to Needle and Foot. 4. Dog Gone Cute--This quilt has been saved from the "shelf of good intentions." I'm so close to a quilt top finish. I just need to connect the two halves and quilt it. 5. Next up is another quilt being saved from "the shelf of good intentions." It is a quilt kit my cousin purchased a year ago to be a gift to his father from the both of us. With his birthday in April, now seems like a good time to start. The pattern for the fabric is called The Great Outdoors and is a free pattern courtesy of Windham Fabrics. 6. Start quilting the Roses and Arrows panel quilt. 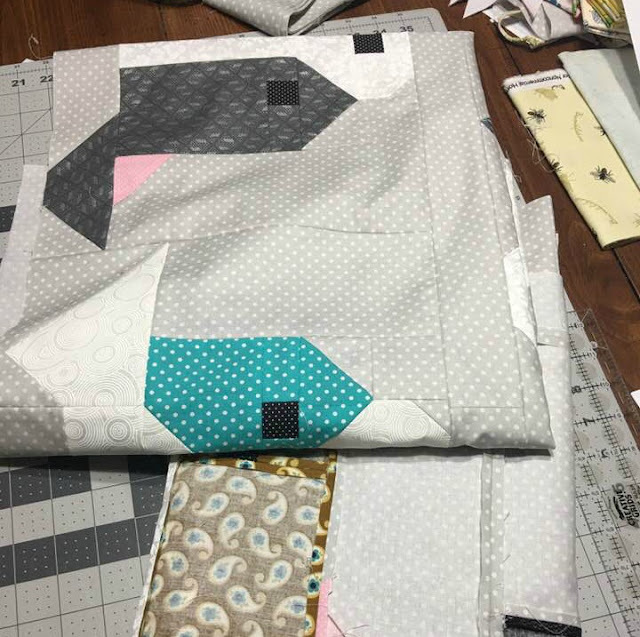 I have been following Amy at Amy's Free Motion Quilting Adventures quilt along for this quilt. 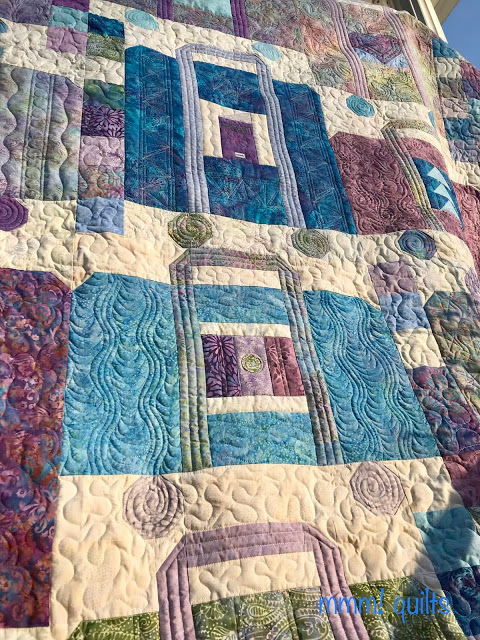 Every Wednesday and Saturday evening Amy does a live Facebook video stream to talk about/show how she's quilting this quilt. Though I've tuned in to watch, I haven't started quilting. This week to move forward with the project I've been practicing a quilting technique called McTavishing...a free motion design created by the super talented Karen McTavish. I think I'm starting to get the hang of it, but my scale is all over the place. With a few more doodle sessions I think I'll be ready to jump in. You don't know till you do it, people! So that's what I've been up to and what I hope to work on this month. Let's see what was going on with you last weekend. Let's celebrate two finishes...one a short term UFO and one a squirrel. First up Sandra at mmm!quilts and her Oh! The Places You'll Go! finish. Oh my quilting goodness!!! Just look at this texture! Sandra created the quilt for the Island Batik Getaway Bog Hop to show case their Crystal Ball line of fabrics. At the time of the hop she had the top finished but the quilting had to wait just a bit longer. I'm glad it did, because man oh man, I think you out did yourself, lady! Next up, we have a squirrel chaser. Squirrel chasing is encouraged by our dear Sandra, by the way. 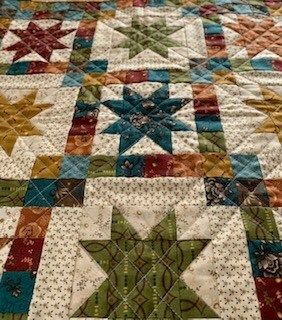 So let's show Wendy at Pieceful Thoughts of My Quilting Life some love for her Star Twist mini using Kim Diehl fabrics. This squirrel is so pretty, I'd chase it! If you haven't already, make use you show these ladies some quilty love. Now let's see what you've been up to this week. With temperatures at record lows, I hope you are sewing up a storm to stay warm!! Link up below and tell us all about it. I hope everyday in 2019 is just like today...Ground Hog's Day. Or maybe like the movie...wake up, quilt, go to sleep and repeat the next day! For those unfamiliar with this "holiday" it is the day that a slumbering ground hog emerges from his sleeping hole (usually with help) to predict the next six weeks of weather. If he sees his shadow, he goes back to sleep in his hole because we are doomed with six more weeks of winter. If there is no shadow he celebrates because there shall be an early spring. Yes, it is primitive weather forecasting at it's best, but is the Apple app any better some days? Most people just spend the next six weeks being mad at the little fellow for getting it wrong. We have French Creek Freddie to predict our weather for us and even have a statue in the town square in his honor. For those shaking your heads, you can't make this stuff up. It's just how we roll in the Appalachian Mountains. Thanks for the highlight, Tish! I finished the Kim Diehl and then worked on a little art quilt, the rest of the week has been a wash. Friday was the day I head up to the office with my husband, and we host the Ground Hog Day lunch. It's become an annual event, looked forward to by all in the office. Hubs and I bring the pulled pork and buns, everyone else brings the other stuff. Then we come home and collapse (it's a lot of work). 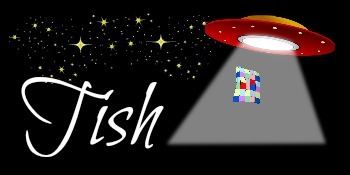 I'm hoping to get some little hospital gowns made too, and this week, I really need to get at least one UFO finished. I think you are doing well, even though your UFO list is a bust. Can't wait to see the Island Batik quilt! Hi Tish you have a lot going on there. I am really intrigued by the McTavishing. I got to spend lots of time practicing on our mid arm today but I don't have a lot I can share. I'm just plodding along. Wow, Tish, that’s a pretty ambitious list, but if anyone can check each project off, you can! Our groundhog in Ontario, Wiarton Willy did not see his shadow. One quilt at a time and even if you don't finish them on time at least they'll be done. Maybe not a lot of finishes, but you have a lot on the go. I need to get moving on some projects. Just a small (and recent) UFO finish. 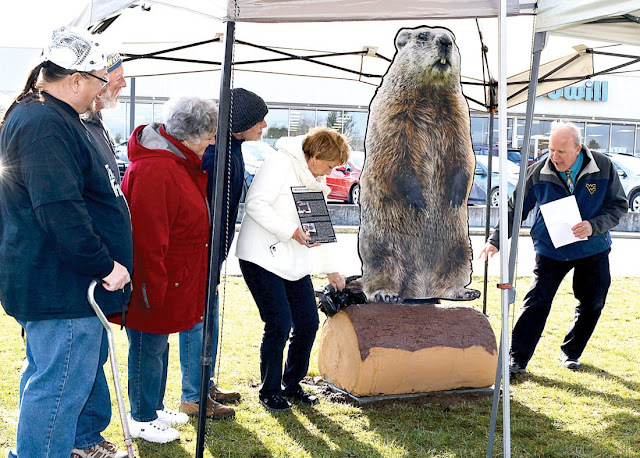 We have Shubenacadie Sam, and he saw his shadow. I'm done with winter!!!! I love your Ground Hog Day story and how you "roll" in the Appalachians! I also enjoyed reading about your to do list for 2019. Lists keep me getting things done. Don't stress about starting new projects. To me, it is all about enjoying what I do and not just crossing off list items. I am good at crossing off things, but I don't stress if I don't. Great progress! I love that you are trying the doll gowns. I am also not a 3D sewer and haven’t tried one yet butI’d like to. No finishes for me so far this year—I need to get finishing! !